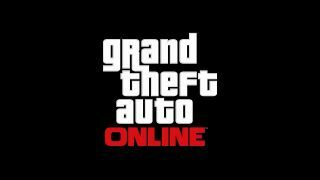 Rockstar has unleashed a first look at GTA 5's online experience - Grand Theft Auto Online - turning Los Santos into, essentially, an MMO. The bad news is that you can't go online from the start - the service will arrive two weeks after the game's September 17 launch. However from what we can see, there's a lot to get excited about. The persistent online world allows for up to 16 people to get involved in the richness of Los Santos, taking part in missions and activities with friends. The entire map will be available to explore, while you'll be able to buy property, make character tweaks, and even fill up your house garage with custom cars. The best part is that this is a persistent world taking mechanics and features from the GTA 5 universe - and a world that Rockstar promises will continue to expand over time beyond the game. Rockstar North President Leslie Benzies told CVG that it's "a different entity, a separate thing, and it'll grow on its own. It'll be GTA Online. It's not part of GTA V. Obviously it's set in the GTA V engine, but it's going to grow and evolve into its own thing." While we have to wait an extra couple of weeks to go online, this will at least give us plenty of time to get familiar with the sprawling world of Los Santos. There's a lot of it.